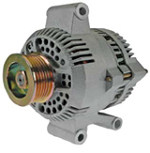 This Ford 3G series high output alternator makes a great upgrade for your early externally regulated alternator or as a high amp replacement for most Ford applications. 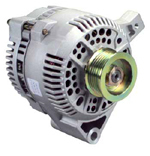 A wiring harness is available below for new installations and when replacing an externally regulated alternator. The mounting pattern is identical for installations in most Ford vehicles from 1964 through 1993. 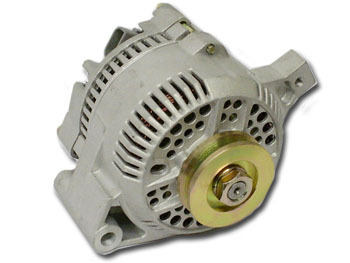 This high output alternator is also the best unit to replace the dual-plug 2G series alternators that Ford issued fire hazard warnings for on vehicles from 1987 through 1993. 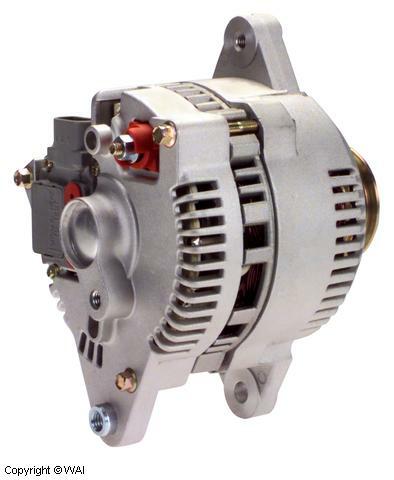 Use the 1-Wire version of this alternator to replace the factory 2G if you have a volt or amp gauge and our 2G adapter harness if you have an idiot light and this hazard can be eliminated. NEW! 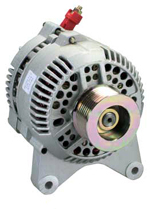 This unit is also available in a high output one wire configuration. For applications where there is no concern with existing wiring, this makes for a clean and easy installation. 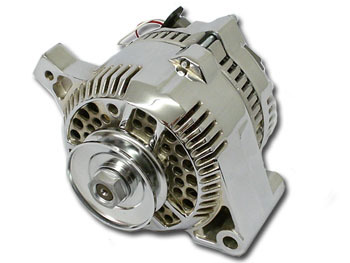 Great for street rods and conversions. Also available in CHROME. 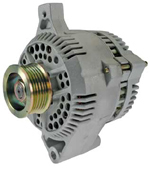 See our brackets section to use this alternator to easily replace old low amp generators.